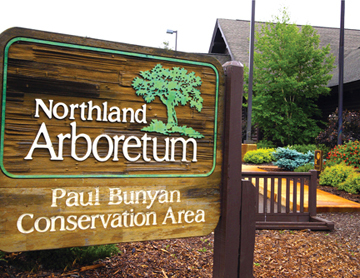 For those of you who are lucky enough to live in the Brainerd area, the Northland Arboretum is probably a familiar place. To those of us that might visit the Brainerd area, the Northland Arboretum is a hidden gem. This wonderful place encompasses over 500 acres and offers activities year round. With this fresh snow it would be great time for snowshoeing or cross country skiing. The Arboretum also offers a unique fitness trail, where you can journey through 12 different fitness stations. The Arboretum offers a wide range of activities and events, with an easy access calendar on their website to spotlight everything. 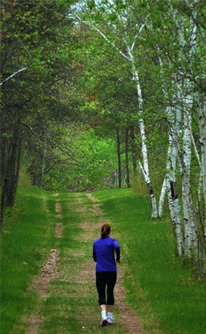 There’s a small fee to use the trails or you can purchase a membership and access is included. You can find more information about this hidden gem on their website. Northland Arboretum is a 501 (c)(3) non-profit organization dedicated to getting the community involved in and aware of nature. We have a wide, beautiful area for you and your family to explore. Have a peaceful walk on our nature trails. Winter time? We’ve got that covered too! You can cross country ski on our spectacular groomed snow covered trails. Snowshoe or winter hike on non-groomed trails.